Dr. Brown, Co-founder, Adirondack Diversity Solutions is also an Associate Professor, a 2017 U.S. Fulbright Professor, and the inaugural Director of Faculty Diversity and Development for the School of Humanities and Sciences at Ithaca College. 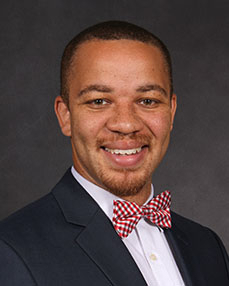 A recognized expert in race and public policy, and author of four books, Brown has worked with various Adirondack groups including, the Adirondack Council, the Adirondack Foundation, the Adirondack Diversity Initiative, and the Adirondack Nonprofit Network on creating diversity and inclusion initiatives along with strategic planning. His passion and interest in the Adirondacks alongside his experience and expertise are the driving factors behind his efforts. Since his initial visit to the Park as a graduate student at Syracuse University, Brown can be found hiking throughout the Adirondacks, especially the High Peaks.